Whether you’re a weekend warrior or a dedicated runner logging your daily mileage, we all can agree that injuries are the f*cking worst. A quick ankle roll on an uneven trail can not only literally throw you, but it can also tweak everything from the ankle to the knee and even the lower back and hip. But what I’ve learned as I’ve gotten older is that not every one of these twists requires a trip to the orthopedist. Sometimes — if you’re lucky — you just need a little rest and some ice. 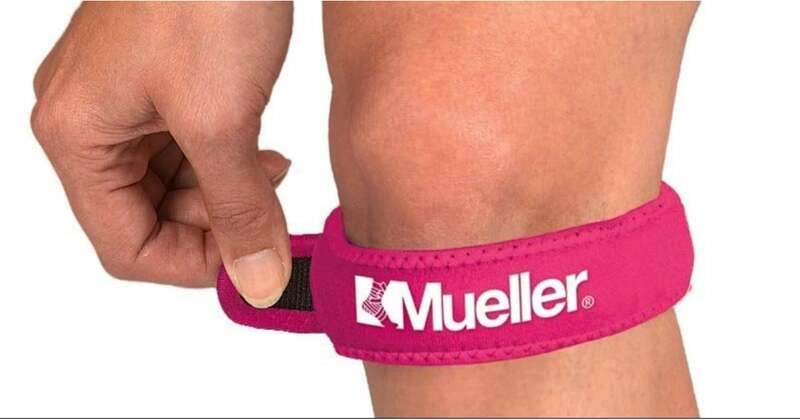 But when my knee started bothering me while playing volleyball and during my jogs, I was worried that I’d torn my meniscus again. I decided to bypass the usual orthopedist rigmarole and see a physical therapist instead. (I knew nothing was broken and wanted to try rehab before a potential MRI.) After an evaluation, I learned it wasn’t a tear but likely just runner’s knee (also referred to as jumper’s knee). It’s a broad term used to describe most tendon pain in the patella, which can come from overuse. And it can make everything from sitting too long in a chair to walking downstairs incredibly painful. Other than strengthening the muscles around it through PT, I wanted to see if I could get rid of the pain with a knee strap. 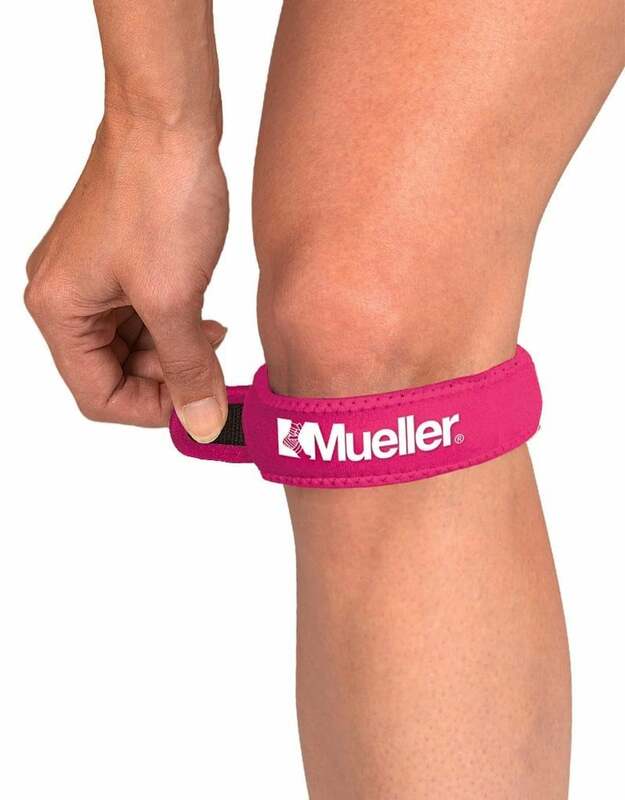 I’d seen my teammates wear patella strap bands throughout the years and decided to give the Mueller Sport Care Jumpers Knee Strap ($10) a try. I’d never worn one before, but it was easy to put on. I created a slight bend in the knee so I could easily find the space under my kneecap, then wrapped it around snugly, using the Velcro to cinch it behind my knee. It felt like a thick rubber tube was gently hugging the crevice of my knee, and it provided an oddly soothing amount of tension on the patella. I wasn’t sure what would happen when I ran on it, so I headed out the door cautiously. To my surprise, the bolt of pain I’d been feeling with each heel strike was completely dulled. I ran for a full 30 minutes on it, and the strap never slipped down. Though it was soaking wet with sweat afterward, it stayed put. It’s been quite some time since the first time I slapped on my knee strap, but I wouldn’t be able to work out without it. That little $10 piece of rubber has kept me running and jumping, and I’m grateful that I found it. It’s not a cure-all by any means, but it keeps me going . . . until the next injury gets me, of course.